HALBAN A group of Urban Planning and Architectural Design students from GUtech have conducted a joint urban planning project with twelve students from the University of Technology in Dortmund (TU Dortmund) in Germany, Department of Spatial Planning. During the two week project the students have developed a water sensitive urban design and a sustainable water management system in the capital Muscat. The project was supervised by Prof. Dr. Wolfgang Scholz, Fly-in professor at GUtech and Professor at the University of Technology in Dortmund (Germany). “Our main research question was regarding „how to integrate wadis as green public spaces into the urban structure of Muscat considering a sustainable water management and a flood protection concept. Our aims were to create a ‘Green Concept’ for the Greater Muscat Area in order to overcome the separation of neighbourhoods and to connect these neighbourhoods with each other through public green spaces within wadi beds, while making use of huge undeveloped urban areas. In addition, as a strategic approach the so-called wadi parks could replace the neighbourhood parks and create more building land in future. Moreover, a sustainable water management and flood protection system could be integrated along with flood protection measures,” said Prof. Dr. Wolfgang Scholz. As part of the study-project the group of Omani and German students conducted various field visits to wadi Al Khoud and wadi Al Khuweir. A total of 12 urban planning proposals for creating public parks, while respecting the flood protection and low level interventions as well as the danger of destruction after a sudden flash flood during the winter months. A total of five expert interviews were conducted by the students including experts from the Botanical Garden, the Directorate of Gardens at the Ministry of Housing, the Ministry of Environment and Water Resources and Haya Water. 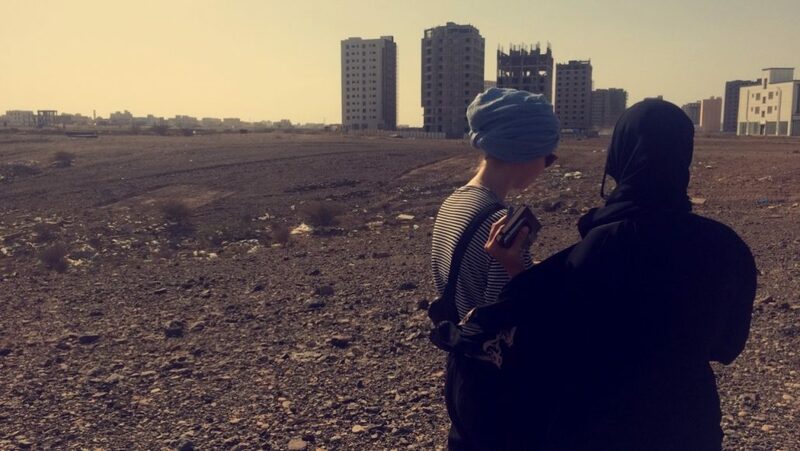 In addition, the students conducted a questionnaire survey with inhabitants of Al Khoud and Al Khuwair and a total of 300 interviews with the local community in both areas.